Over the last twenty years the role of the telephone has been steadily reduced to that of an “interface” – for taking photos, bluetoothing business cards or connecting to an online service to find the nearest late night chemist. Sometimes people make phone calls. It is this rush to keep up with the latest augmentations of the mobile that has obscured the fact that the basic principle of person-to-person calling has still not reached its full potential after over 100 years. So in the first instance, social telephony is a historical project, returning to the handset, the voice, dialling and dialogue to re-imagine the phone call, to see where else it can go now that open source telephony allows us to build our own phone services. 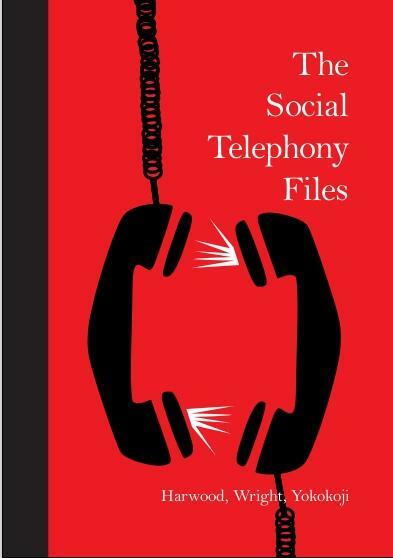 Social telephony is thinking in terms of an “aesthetics of connectivity”, finding ways to build social networks between people that allow them to communicate in unexpected patterns and reveal different kinds of relationship. By taking advantage of the widespread use of phones we have developed arts projects that do not rely on unfamiliar computer systems and only require phone connectivity to take part. We have experimented with the use of auto-dialling to seek out potential participants, building the means of dissemination into the activity itself. We can allow people to pass content amongst themselves through their phones and across all national boundaries. By literally putting these abilities into the hands of our audience we have achieved more proactive forms of collaborative media. This approach has also benefited from other kinds of connection. Our close collaboration with the Congolese community, especially Nostalgie Ya Mboka, has taught us that communication is not just about increasing the amount of information communicated. Their experience of exile from authoritarian regimes replaces a desire for quantity with a desire for channels, borderlessness and autonomy. The Coltan Wars, the most devastating yet least publicised conflict in the African continent, has shown us that an ordinary device such as a mobile phone connects us not only by wireless transmissions but also through a process of globalisation that includes historical currents, technological proliferation and the traffic of refugees. How to make these myriad relationships tractable? Not to understand them as such, that is too naïve, but how to gain a purchase on them, a way into Congolese conversations, transnational trading routes and the Victorian inventions that spawned the modern global media empires. It was with this in mind that we developed the workshops and gallery based artworks, to bring into touch communities of migrants, young mobile phone users, critics and cultural audiences in spaces designed for more open ended reflection. This later work is designed not to communicate anything as such, but to reveal the shape of communication itself and a little about our place within it, so that when we perform something as simple as making a phone call we take part in a process that is continuing to shade its own particular cultural, historical and political outlines.